Designed for normal to thin or fine hair. Improves texture and shine. Boar bristle brings out your hair’s natural shine by distributing its natural oils and repairing dry ends bristle brush repairs dry hair and adds lustrous shine. Improves hair texture and stimulates the scalp. 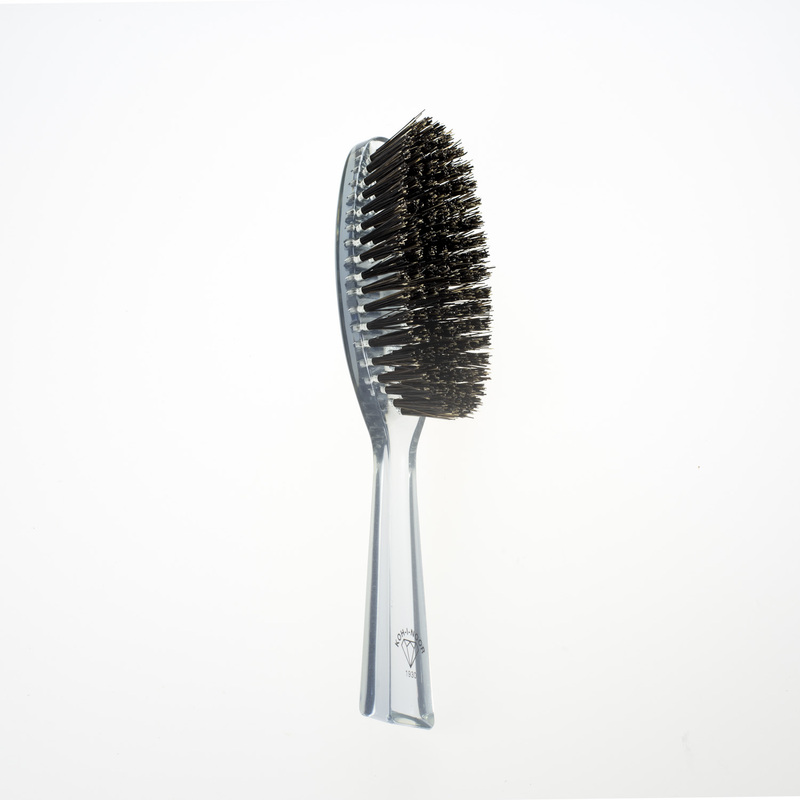 Never mass-produced, each brush is made by hand. The 1930 collection features an iconic Koh-I-Noor diamond design, making it one of our customer favorites. Handle and body are made of premium resin with a gold-stamped logo. This hair brush has natural boar bristles specifically designed for fine or thin hair. I love how easy styling my hair has become. This brush really brings out my natural shine. Love it!